2014 is the perfect year for Leo to start a new business as the stars are favorable towards new ventures. Some people you'll meet in the next 12 months will be ideologically similar to you and cultivating meaningful relationship with them will help you to reach a whole new dimension both on a personal and on a professional level as they will be of key importance for the successful outcome of your ongoing projects. Health-wise, you'll need to pay attention to your throat and thyroid. Avoid junk food and fatty dishes as it'll be easier than usual for you to gain weight. In regards to your love life, you'll need to control your impulses and avoid potentially violent and emotionally distressing situations. The signs that are going to influence you the most in 2014 will be Leo and Scorpio. This year for people born under the Virgo sign will be rich of fresh personal relationships and new friends bringing exciting adventures and surprises that will benefit your professional and financial life. In 2014 you will be pervaded by a wave of creativity and this new energy will have a strong positive impact that will make you grow on a spiritual level. Health-wise you'll need to look after your respiratory system as it will be easier for you to develop infections and congestion such as bronchitis. Eating more fruit rich of vitamin C will help you avoid the most severe symptoms. This year's emotional instability will affect your mood but you must remember that you'll probably tend to make things bigger than what they actually are. The people that will help you the most during this 2014 will be born under the signs Virgo and Sagittarius. In 2014 you will be feeling the impulse of launching new projects and undertaking new adventures, which will lead to more time spent at the workplace. Therefore it will be of key importance to remind yourself that you need time to rest too. Due to the high level of creativity and personal charisma that will characterize this 2014 year, your love life will be very satisfying and your social life fulfilling. Nevertheless, you need to beware of people trying to drag you into highly speculative businesses because it could turn out for you into a financial disaster. As far as health is concerned, 2014 will be a good year provided you will listen to your body and take time off to rest when needed. 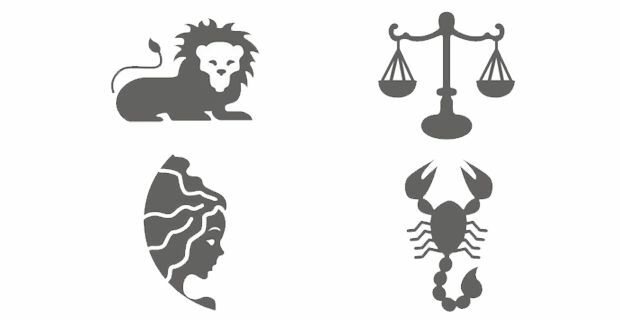 Due to the strong influence of the Sun, every sign of the Zodiac will affect you in a positive way. During 2014 people born under the Scorpio sign could be easily misguided and miss the great opportunities the next twelve months could bring them. For this reason, it's of key importance to seek advice from reliable friends and family members before taking important decisions. It's also important to keep a positive attitude as all this year's efforts will be recompensed in the future. Due to anxiety and pressure, Scorpio could be suffering of digestion problems and insomnia during this 2014, therefore it's advisable to follow a healthy diet as well as to practice relaxation techniques and meditation. As far as love is concerned, it will be wise to keep your feet on the ground in order to avoid deception as you will tend to see people in a distorted fantasy/dream-like perspective. Those born under the Pisces sign will be the ones who you can rely on the most on.